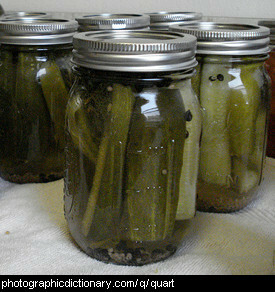 A list of the more interesting units of measurement you might encounter. A U.S. standard gallon is 231 cubic inches or 3.7853 liters. 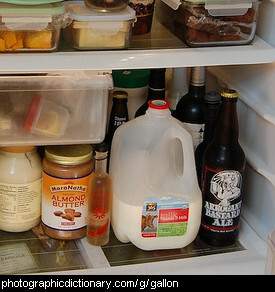 A British imperial gallon is 277.42 cubic inches or 4.546 liters. A gram is a small unit of weight. There are 1000 grams in a kilogram. 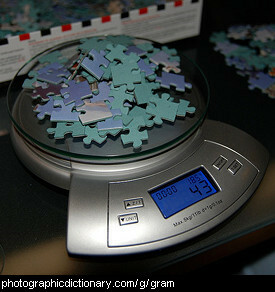 The picture is of forty-three grams of jigsaw puzzle pieces. One puzzle piece would weigh about one gram. 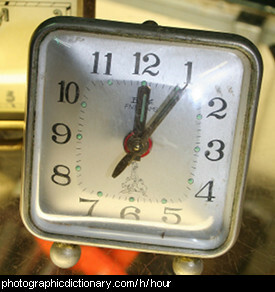 An hour is a time period of sixty (60) minutes. There are twenty four (24) hours in a day. 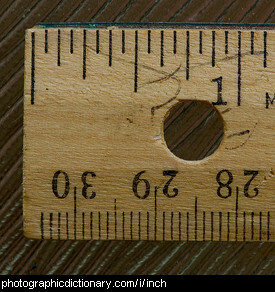 An inch is 1/12th of a foot, or 2.54 centimeters. 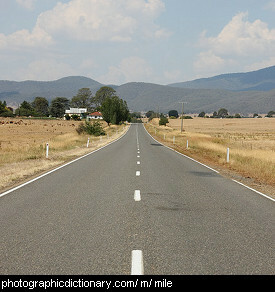 A mile is 5280 feet, 1760 yards, or 1.609 kilometers. 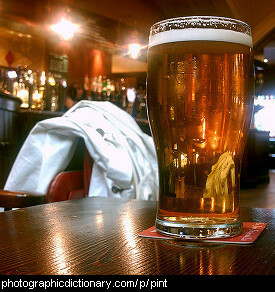 A pint is a unit of measurement that can vary around the world, but is usually defined as 35 cubic inches or 0.473 liters. The word pound can have several meanings. It could mean to hit something hard, many times, for example "he pounded the meat to tenderize it". It could mean a unit of British money, equaling 100 pence. It might also mean a unit of weight, abbreviated to lb, equalling 0.453kg, or 0.373kg for precious metals. 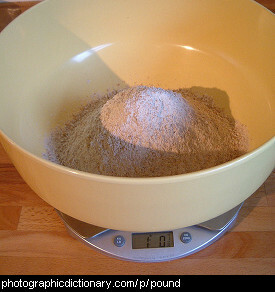 The picture is of a pound of flour. A second is a unit of time. 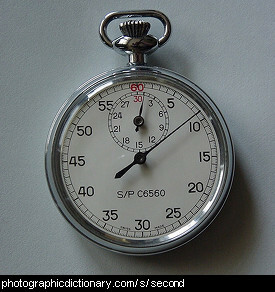 There are 60 seconds in a minute. Second is also the number two place in a competition. A swig is the amount of drink that you can have in one swallow. 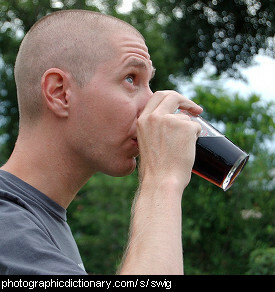 The man in the picture is having a swig of beer.